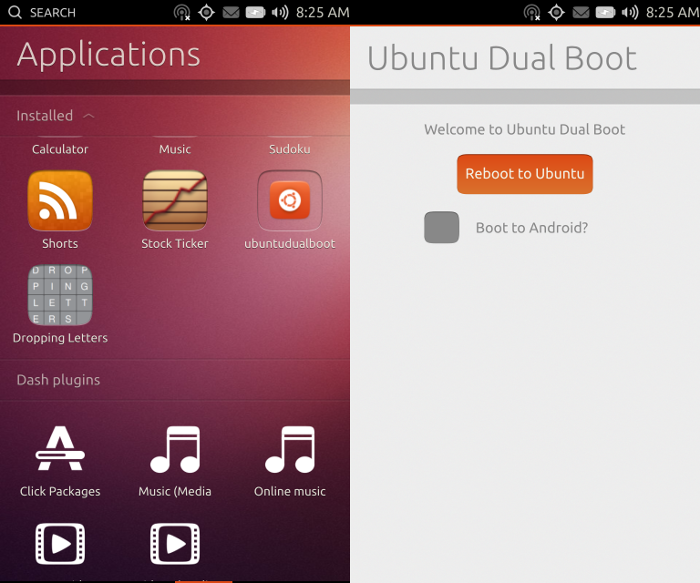 Ubuntu has announced a preview for developers: Ubuntu on mobile devices can run along side with android, yes your mobile can be dual booted. Ubuntu has informed that Dual boot is not a feature suitable for regular users. It is recommended to be installed only by developers who are comfortable with flashing devices and with their partition layout. Dual boot rewrites the Android recovery partition and those installing it should be intimately familiar with re-flashing it in case something goes wrong. With dual boot, switching between OSs had never been easier. No more key combinations or command line interfaces to jump into the next OS: on each side, an app with a simple user interface will enable you to boot back and forth at the tap of a button. The Android app manages the initial installation of Ubuntu, upgrades and rebooting into Ubuntu. 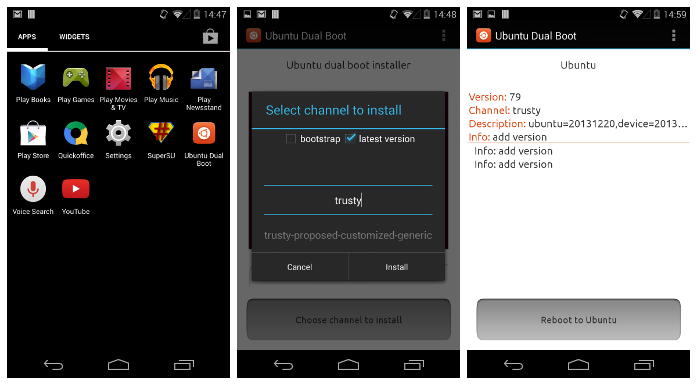 On Ubuntu, the dual boot app provides an easy way to reboot into Android. Installing and running dual boot can be done in a few easy steps. In a nutshell, it requires performing a one-off installation of the dual boot app in Android, which will enable you to both install the version of Ubuntu of your choice, and to reboot into Ubuntu.